All R. Crusoe & Son tours, river cruises, expedition cruises, and adventure trips. Find the best guided trips and expert planned vacation and holiday packages. 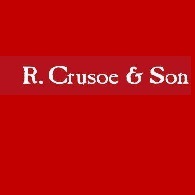 Average rating of 0.0 for all R. Crusoe & Son trips. Explorations of magnificent sites in Lucerne and Berlin. Opt to stay at the only lodge by the entrance of Machu Picchu (it allows early access, before others arrive). Opt to ride the elegant Hiram Bingham train to and/or from Machu Picchu. Witness sunrise and sunset at Machu Picchu. Have lunch at a private hacienda in the Sacred Valley. Witness a shaman ceremony, a weaving demonstration, go horseback riding and river rafting, take a pottery lesson. At Machu Picchu, choose one of three options—walk to Inti Punku, hike up Mount Huayna Picchu, or take a short walk to see an Inca bridge.